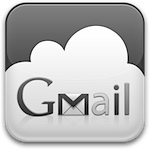 Gmail, as of now, is one of the most popular webmail clients out there. Since its launch in 2005, it has managed to rekindle the dying interest in web-based email. The Google-owned service provides a huge amount of features to its users; thus, giving it an edge over its competitors like Hotmail, Yahoo Mail and AOL. However, many new users are completely unaware of how to get the most out of Gmail. Click the 'Labels' drop-down menu or if you have keyboard shortcuts enabled, type l. Or, just click the gear icon -> Mail settings -> Labels. Now, you can edit the label any time to set your own rules for a particular address, a search term or a contact. By enabling some Labs features (we'll talk about them later), you can also set different colors to particular labels. There's also a feature that lets you add nested labels. You can learn more about Labels on Gmail's help page HERE. If you have multiple email addresses or have just switched from another email provider, you can easily set Gmail to import mails as well as your contacts from other accounts. What's more, you can also configure Gmail to add a custom label like 'Hotmail' to all your imported mails. Gmail can import mails from AOL, Yahoo, Hotmail and many more providers. To learn more about how to do that, check out this article. We've already discussed about the best mail clients for Linux. If you happen to use one of them and don't know how to get your Gmail working with it, don't worry. Gmail works with almost all the offline mail clients out there thanks to its support for protocols like IMAP, POP and SMTP. All you have to do is enable those protocols for your Gmail account and the rest is easy. An article that helps you do that can be found HERE. Then, you can configure your mail client to work with your Gmail account by following the instructions given HERE. Note: If you're using the latest version of Thunderbird or Outlook, you won't have to go through the hassle of entering the settings. Just enter your Name and Email address and the client takes care of everything else. Login to Gmail and click on 'Settings', then click the radio button that says 'Keyboard shortcuts on' in the 'Keyboard shortcuts configuration' section and click on 'Save Changes' at the bottom. Now that you're done enabling all the shortcuts, it's time to get to know all the combinations. A nice printable cheatsheet that will teach you all the important keyboard shortcuts that you need to know can be found HERE. Gmail, since its launch, has been coming up with some interesting experimental features that adventurous users would love to try out. Some of them add to Gmail's functionality, while some others are pretty useless. Lifehacker has mentioned a list of the essential labs features you should enable. Also, Matt Cutts has recorded a nice little video telling us about his favorite lab features. He also explains how to enable labs if you are new to Gmail. N.B: Offline Labs feature that Matt mentions in that video has been discontinued by Google.